Saint Louis University Athletic Training Program: SLU AT Program Looking Forward to Busy National Athletic Training Month in March! SLU AT Program Looking Forward to Busy National Athletic Training Month in March! March is National Athletic Training Month! This year's theme is "We've Got Your Back". The students, faculty and staff are looking forward to many activities to commemorate the month and raise awareness of Athletic Training! 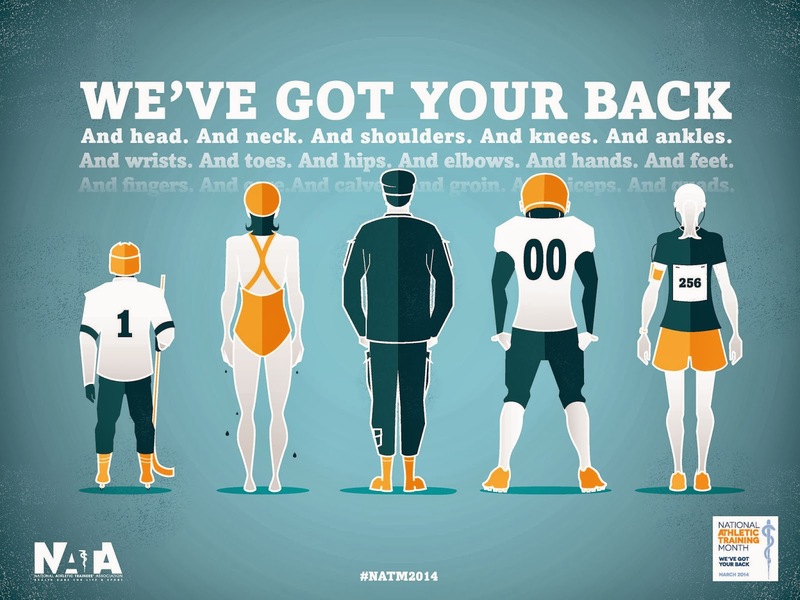 Members of SLATS, the SLU AT student organization, are doing a daily social media campaign through Twitter and Facebook using the hashtag #NATM2014. Professional AT students are posting "We Love Our Athletic Trainer!" signs at their clinical site that can be signed by athletes at other stakeholders. The National Athletic Training Month logo and message is posted prominently on the digital signage in the Allied Health Building. Junior pre-professional AT students are making posters in MAT 300 on the Domains of Athletic Training for posting in the Allied Health Building. Faculty member Dr. Kitty Newsham will be participating in the 5th Annual National Youth Sports Safety Summit which will be held on Monday and Tuesday, March 10-11, 2014 at the Westin City Center, Washington, DC. Freshman pre-professional AT students in MAT 100 will be taking a field trip to Rams Park on March 17th to meet the St. Louis Rams AT staff and tour their facility. SLATS is working together with the SLU Medical Student Association to provide instruction and hands-on practice for 2nd year medical students in athletic taping, sideline concussion assessment and football cervical spine injury management on March 19th. SLU AT staff and students are working together with 4th year medical students and SLUCare Sports Medicine to give a community presentation on knee injury prevention and sports concussions. SLU AT faculty and students will be attending the Mid-America Athletic Trainers' Assoociation Annual Meeting and Symposium in Des Moines, IA where Dr. Kitty Newsham will be presenting and a team of SLU AT students will be participating in the District Quiz Bowl Competition. SLATS will be once again hosting its Bowl-a-thon to raise funds for the Bauman Athletic Training Scholarship at the Moolah Lanes on Wednesday, April 2nd. 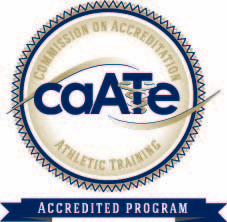 For information about any of these activities contact the program at atep@slu.edu or 314-977-8561. March is also basketball tournament time! 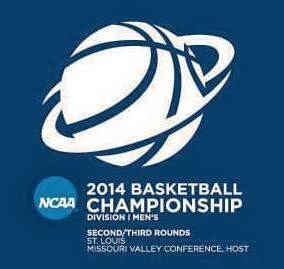 The SLU AT program faculty, staff and students will also be providing athletic health care for the Missouri Valley Conference Men's Basketball Tournament at Scottrade Center (St. Louis) and Women's Basketball Tournament at Family Arena (St. Charles). They will also be serving as the host medical staff for the NCAA Second and Third Round Men's Basketball Tournament at Scottrade Center.